I love champagne, and anything pink, so when I tried a new sparkling pink drink from Yellow Tail, I was tickled pink! Pink Bubbles is my new favourite bubbly cocktail. By blending white grapes with red varieties, this delicious fizzy wine can be enjoyed on its own or with food. I love it as a cocktail served in a beautiful champagne glass. And it is a perfect match with birthday cake! A real bonus is that the bottle comes with its own resealable cork. 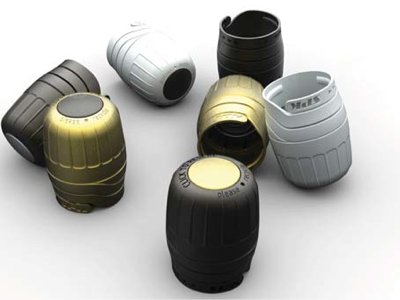 The 'zork' is a re-sealable cork that can be reused to keep an opened bottle of sparkling wine bubbly for another day. What is so great is that the zork pops like a regular champagne cork. Isn't that part of the fun? And if we don't finish the bottle - not that that happens often - we can save it for another day.